ALBUQUERQUE, NEW MEXICO - Founded in 1927, the 64-acre ABQ BioPark Zoo (formerly the Rio Grande Zoo) is part of the Albuquerque Biological Park. The zoo's exhibits are arranged so you can get close to the animals and their naturalistic habitats, watch animal feedings and even touch a llama. 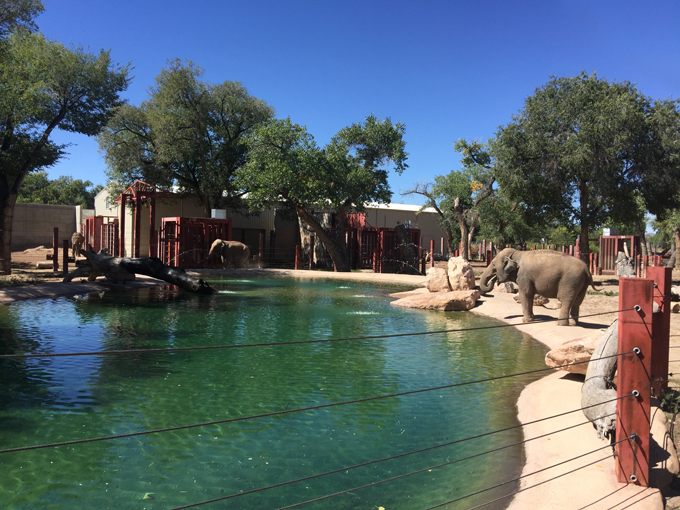 A small train will take you from the zoo to the other ABQ BioPark facilities - Albuquerque Aquarium, Rio Grande Botanic Garden and Tingley Beach. Copyright 2018 TRIPmedia Group, Inc. All rights reserved.